On Oct. 20, Colorado Nonprofit Association announced that starting in January 2017 it will offer year-round professional development trainings free of charge to members. This includes regional in-person trainings, as well as webinars broadcast live across the state. Any employee or board member of a member nonprofit will have access to this benefit, as well as business members with standard membership or higher and student and individual members. We are dedicated to strengthening the more than 20,000 public charities in Colorado because they are crucial to a better quality of life in our state,” said Renny Fagan, President and CEO of Colorado Nonprofit Association. 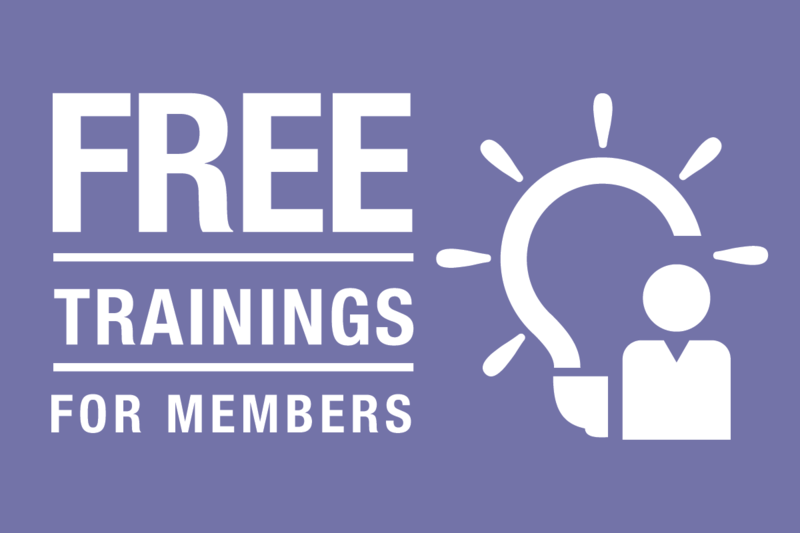 “By offering free, high quality professional development to our members, we envision a stronger nonprofit community overall. In what is believed to be an unprecedented effort of its kind in the U.S. for a state nonprofit association, this benefit represents a cost savings for members, as well as an increase in access to professional development for employees and board members at all career stages. Vetted industry professionals will present all offerings. In addition, Colorado Nonprofit Association will introduce a new recognition – Excellence in Nonprofit Principles & Practices – that can be earned by a nonprofit that sends employees through training in nine of the 10 tracks for nonprofit excellence. The organization will be allowed to display a badge with this honor on their website, in grant applications and other key materials. The Excellence in Nonprofit Principles & Practices recognition will showcase that a nonprofit and its employees are well rounded in key areas of nonprofit management, and up to date on industry best practices,” said Gerry Rasel, Director of Membership Services for the Association. In 2015 alone, Colorado Nonprofit Association delivered a wide range of professional development programs to more than 3,600 individuals. Registration fees for trainings ranged from $35–$65 per training. Colorado Nonprofit Association heard from its members that even this nominal cost was still a barrier to professional development when nonprofits are continually asked to channel more dollars to programs and services than to overhead and operational improvements. Colorado Nonprofit Association expects this change will increase the number of professionals receiving training across the state, and ultimately increase the vitality of the sector as a whole.